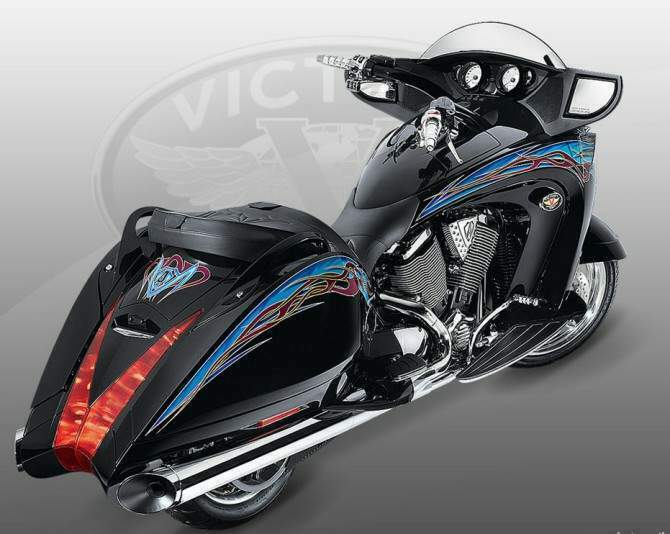 The Victory Vision, already one of the coolest touring motorcycles around, has now got a style update from Arlen Ness, and his son Cory. Launched at a time when Victory Motorcycles are celebrating their 10th Anniversary, the Ness Signature Series Victory Vision looks even cooler than the ‘normal’ Vision, though it does cost all of US$25,000. 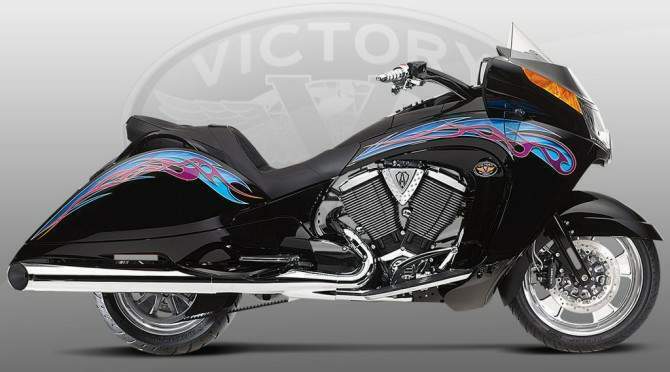 The Ness Signature Series Victory Vision is still powered by Polaris’ fuel-injected, air-and-oil cooled, SOHC eight-valve 1731cc ‘Freedom’ V-twin, which produces 92 horsepower and 147Nm of torque. The gearbox is also the same six-speed unit and the fully adjustable suspension remains unchanged. However, the Ness Vision gets bits like custom-made billet wheels and leather seats, an adjustable electric windshield, a fancy radio/stereo and a special paintjob.